Teatro de la Zarzuela will dedicate the function 'Katiuska’ from today (20h00) memory the legendary soprano Montserrat Caballé, died early today in the 85 years. “Today is a sad day because we left one of the most important voices in music history. 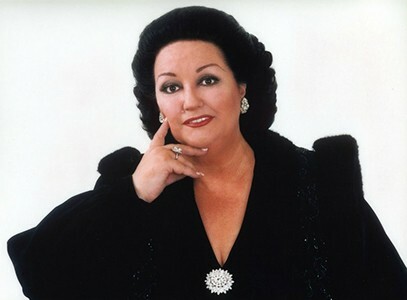 Montserrat Caballe is and will be a unique reference, unique and irreplaceable. His art will always resonate in these, the walls of Teatro de la Zarzuela, where he gave his audience -along over 30 years- evenings that remain in our memory and history of this coliseum. Montserrat Caballe was also one of the most emblematic ambassadors of Spanish lyric genre, bringing the zarzuela to every corner of the world in concerts and recitals. Therefore, the Teatro de la Zarzuela want to dedicate today's function who with his singing fed our souls and made us so happy.